Refitting or overhauling your bathroom can be a costly experience. Although people will often splash out on a nice bath and fancy stone tiles they’ll often cut corners on some of the smaller details. This is why a lot of people opt for shower curtains over shower screens. Once the rail is up a shower curtain costs very little and is often seen as disposable and easily replaced. But it’s a false economy. These days the bathroom can add some serious value to your property so it’s no place to skimp on things. Shower screens not only look fantastic they also have several other benefits. Longer Lifetime. Even with constant cleaning, curtains eventually end up looking grubby due to mould and mildew build up. Some people have to replace their curtain every 6 months or so. They may not be that expensive but when you add it up over the years it hardly makes sense. Shower screens on the other hand are built to last. They’re tested for durability and come with guarantees from 10 years to lifetime. Better Appearance. There’s no doubt that shower screens look better than curtains, but this isn’t just about cosmetics. Shower curtains quickly accumulate mould and as you clean them the material degrades which promotes mould growth. With the damp conditions of a bathroom this mould can multiply quickly which is bad news for your health. Shower screens are easy to clean and many come with a special treatment that keeps the glass sparkling. Competitive Price. While you can certainly get a shower curtain for just a few pounds it won’t be up to much and a really top quality shower curtain can cost more than a hundred pounds. Even the expensive ones will require replacing faster than you think. You can find shower screens online that offer jaw-dropping value for money and won’t need replacing every year or two. In the long run shower screens offer far more bang for your buck. Wider Range Of Choice. Yes, shower curtains come in a variety of colours, patterns and naff prints. If you like that sort of thing. 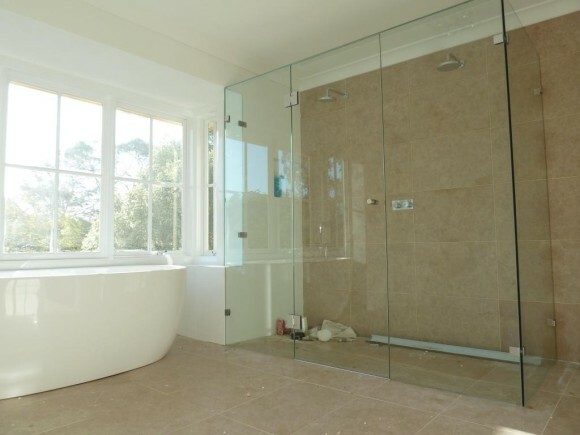 But shower screens offer different styling options, from modern to classic, so they look great in any bathroom. They also come in a huge range of sizes and shapes to ensure the perfect physical fit for your bathroom too. A More Luxurious Showering Experience. While for some a shower is a quick 3 minute blast in the morning to wake up and clean off before work, nothing beats soaking in a long, hot shower to invigorate and relax the body and mind. Forget about that if you keep getting a cold, mouldy shower curtain sticking to you every time your turnaround. Shower screens offer a superior experience every time. When you add it up shower screens are the obvious choice when it comes to remodelling or sprucing up your bathroom. Don’t be tempted to save a few pounds in the (very) short term, get it right the first time with a quality shower screen. Shower Enclosures Direct offers a range of shower screens in a huge variety of styles to suit any size and style of bathroom. Get the perfect screen for your bathroom today.